Lee Co. Commissioners are working to put another artificial reef in the Gulf of Mexico. On Tuesday, the county will accept a $120,000 grant from the Florida Fish and Wildlife Commission. 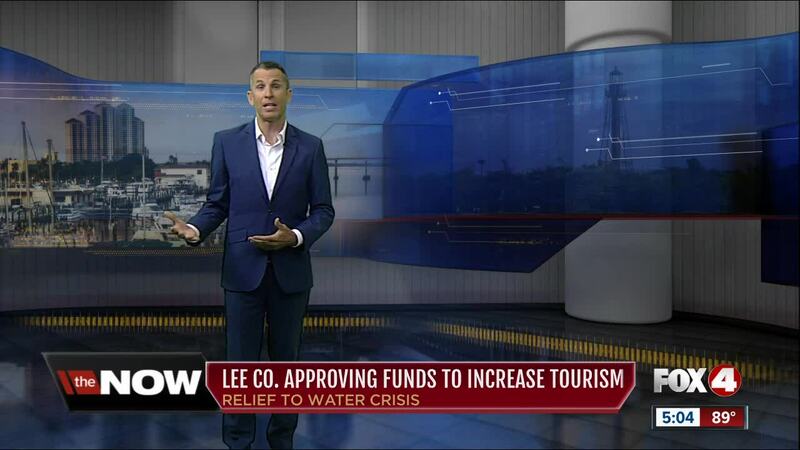 LEE COUNTY, Fla. -- Lee Co. Commissioners are working to put another artificial reef in the Gulf of Mexico. On Tuesday, the county will accept a $120,000 grant from the Florida Fish and Wildlife Commission. 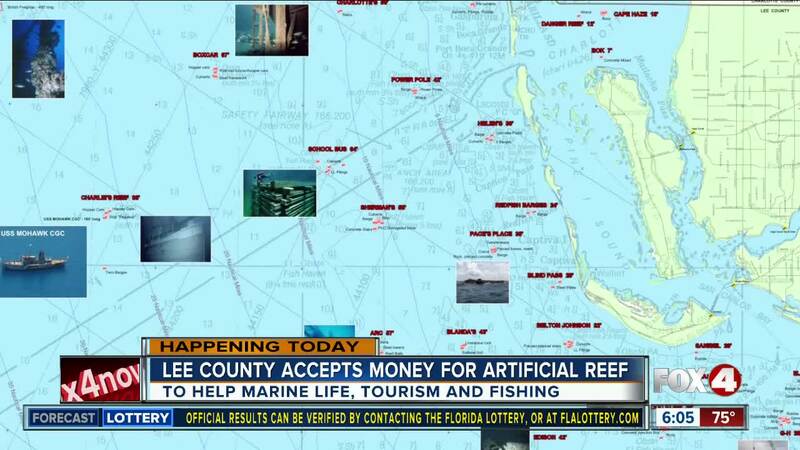 The reef is expected to be placed about 15 mi. offshore with several others . The reefs are meant to attract and improve marine life as well as provide a new location for fishermen to fish and for tourists to explore. This past year, Lee Co. removed more than 1,300 tons of dead fish that washed ashore beaches, boat ramps, and parks. 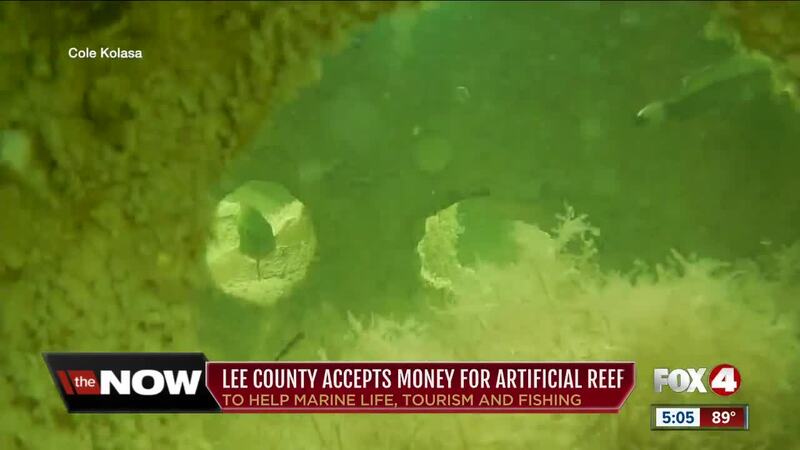 The goal of the artificial reef is to restore that fallen population. It will be made with 1,000 tons of concrete. Fox 4 is still working to find out when construction will begin. 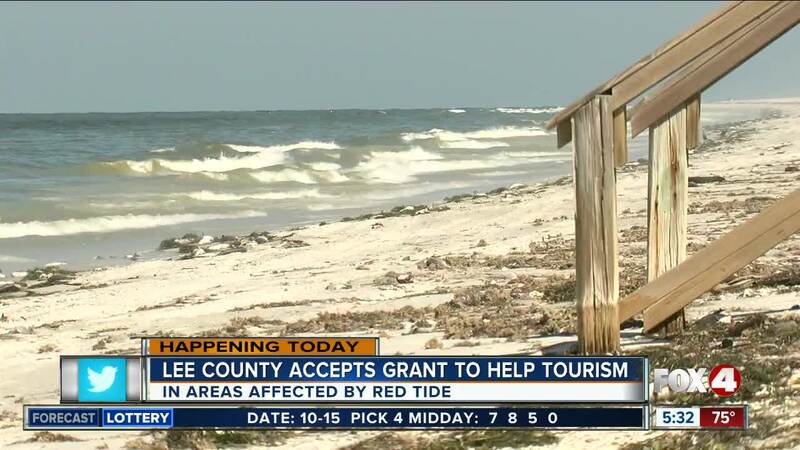 Lee Co. is accepting $77,500 to help areas affected by red tide blooms. The money will be used towards advertising to boost and highlight tourism destinations in Southwest Florida. County commissioners will accept the grants at the board meeting on Tuesday.